The problem of post-Ph.D. employment, particularly for arts and humanities graduates, has become a mainstay topic of higher education blogs, conferences and other discussion forums. Diagnosing the problem’s underlying causes and recommending strategies to solve it -- both on institutional and individual levels -- has become a movement in its own right, as illustrated by the widely used term “alt-ac,” meaning alternative academic careers. A common theme among commentators is that Ph.D. job seekers should highlight their competencies rather than the content of their field. But a closer look at hiring practices among major nonuniversity employers reveals a serious flaw in this strategy. The competency approach to Ph.D. studies has gained a lot of traction in recent years. 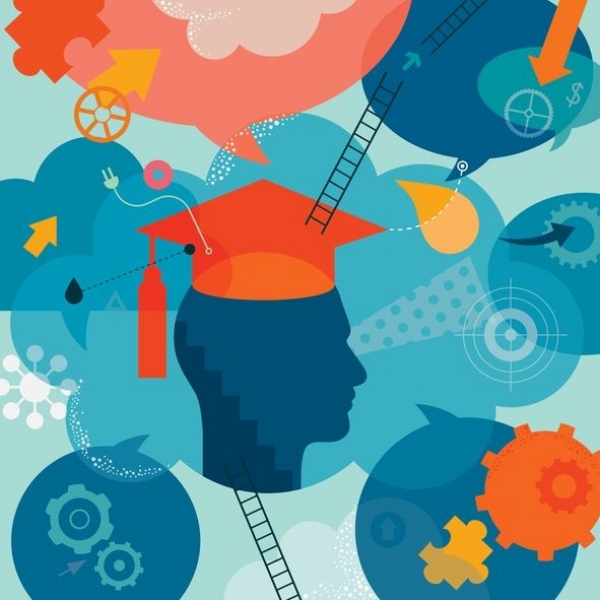 It proposes that departments strengthen non-field-specific training and that graduating Ph.D.s learn to market themselves better to potential employers. Thus, rather than emphasizing an expertise in medieval literature or Italian art history, the job seeker’s résumé should highlight transferable skills like creative thinking, writing, project management or data analysis. This recommendation is based on two assumptions: first, that the skill set that Ph.D.s bring to the table is broader than first meets the eye, and, second, that employers in nonacademic sectors are looking for professionals with such a broad palette of skills. Neither assumption is wrong. Yet the equation still doesn’t hold up. We have spent the past several years working intensively on the alt-ac problem. One of us specializes in coaching academically trained young professionals -- both those remaining within academe and those transitioning out -- in professional strategies. The other works with organizations to train their emerging leaders. Thus, we have one foot in academe and the other on the outside. That gives us insight into both sides of the equation: the job seekers and the organization that may hire them. We have seen repeatedly in our work that the most successful alt-ac transitions occur when applicants can sell themselves as experts, rather than all-arounders. It’s depth, not breadth, that employers are looking for in Ph.D.s. A variety of organizations are, in fact, keenly interested in attracting professionals with breadth and intellectual agility. The big consulting firms need their associates to be able to advise an airline on streamlining its ground operations one day, while detecting shortcomings in the business model of an online retailer the next. Moreover, they need their consultants to be able to produce clear and compelling prose. Public-sector organizations require workers who can untangle the complex, interdisciplinary nature of key policy domains, such as education, energy or environmental regulation. For for-profit businesses, from small start-ups to global corporations, professionals who can adapt and learn on the job are valued assets. Most doctoral programs do indeed prepare candidates well for these professional challenges. Those that do not are under increasing pressure to do so. Despite all that, the odds of a Ph.D. graduate landing one of these jobs is small, which has to do with institutionalized hiring practices. Nonacademic organizations fill their all-rounder positions -- the analysts, associates or other jobs where a candidate’s well-rounded portfolio of abilities trumps a lack of sector-specific knowledge -- with younger applicants, those in their 20s. People in their 30s are hired for their proven expertise, either in management or in a specific domain, and they serve different functions in the organizations. Ph.D.s, especially those who took a few extra years to finish, don’t fit into this hiring schema: they’re often too old for the jobs they’re most suited for but lack the established expertise for the ones that fit their age. This trend is not rigid; there are exceptions. Yet for entry-level jobs in many sectors, much as in academe, human resources departments can be flooded with applications. Just as many a university hiring committee would rather choose from one of the dozens of applicants with the perfect CV -- top-tier university, famous adviser, competitive grant recipient and the like -- than take a chance on a wild card, most hiring managers play it safe and hire from within the pool of those that fit the ideal profile. Take, for example, a growing field within large corporations: talent management. Talent management involves identifying, training and retaining the right personnel within an organization. There is hardly a job for which a graduate student with a strong record as a teaching assistant could be better suited. Much of the work involves assessing individuals, identifying strengths and weaknesses, and developing corresponding learning programs. Because no specific degree prepares a person for such work, the ranks of major talent management divisions are filled with a broad array of undergraduate majors: music, history, engineering, business sciences, psychology and so on. Despite that, we have not seen a single successful case of someone pursuing talent management as an alt-ac career. Young people fill the ranks of the talent-management offices, while the heads of team are promoted internally or hired based on direct talent-management experience at another organization. With that in mind, strategizing doctoral students should be wary of spending too much energy diversifying their competency base. Instead, a smarter strategy involves establishing a strategic depth. That involves identifying a marketable expertise that is closely related to one’s doctoral research. For example, a historian researching Nazi perpetrators could build her parallel expertise in political extremism; a sociologist working on the materiality of waste could make his in environmental policy. Establishing a track record of expertise does not have to be time intensive: attending a few choice conferences, authoring a white paper or publishing in newspapers would do the trick. Such small steps are transformative for a nonacademic résumé. Hiring managers like logical career trajectories, ones in which everything a candidate has done points them toward the job in question. With a few of the aforementioned boxes ticked off, the Ph.D. degree suddenly reads like an expertise-building endeavor rather than a detour. When it comes time to apply for nonacademic jobs, the doctoral student can enter at the age-appropriate “expert” level. In the case of a consulting firm, for example, rather than being hired as an entry-level associate who is expected to work on a broad range of business problems, the Ph.D. graduate can start as a legitimate expert in energy or education policy. And besides, if she decides to stay in academe after all, she will have that increasingly important element of “public outreach” already ticked off.